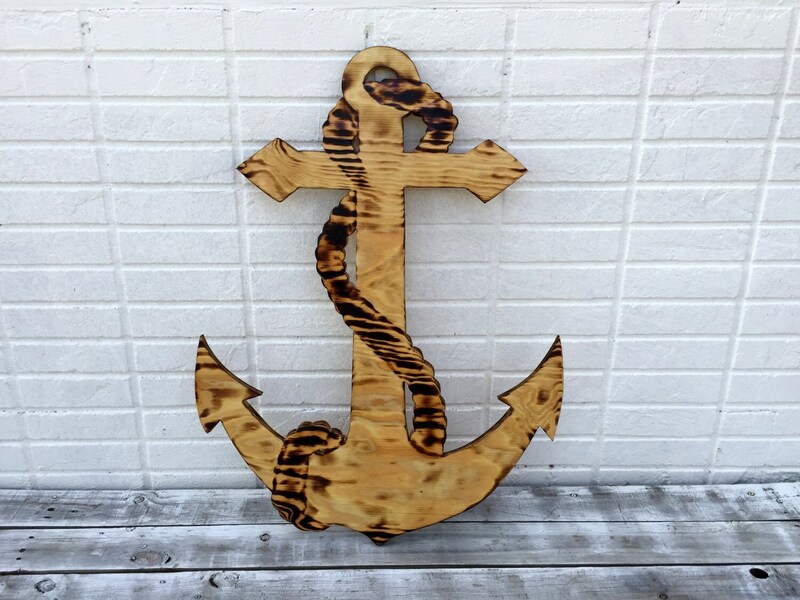 This burned wooden anchor sign designed to replaced usual signature book and capture all your guest wishes for long lasting memories. 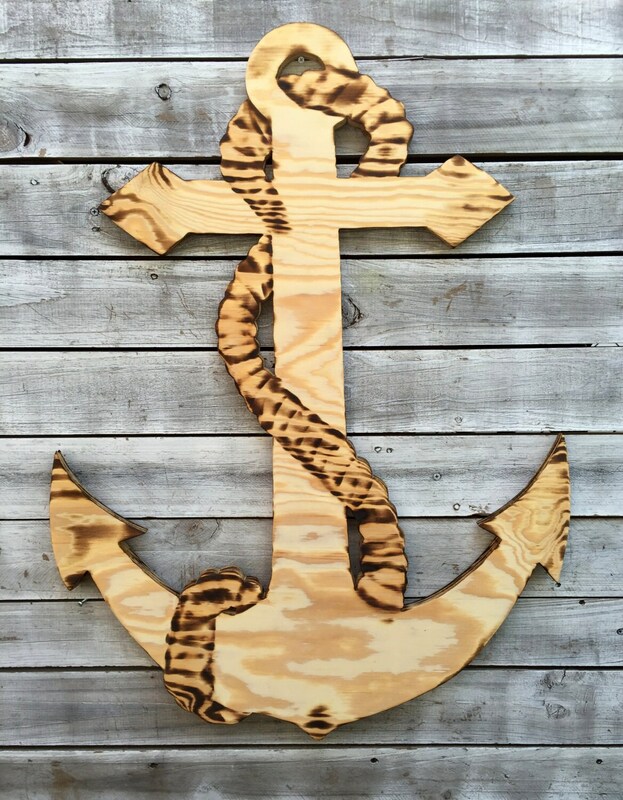 Great addition to your wedding decor and double as a beautiful piece of art for your home. 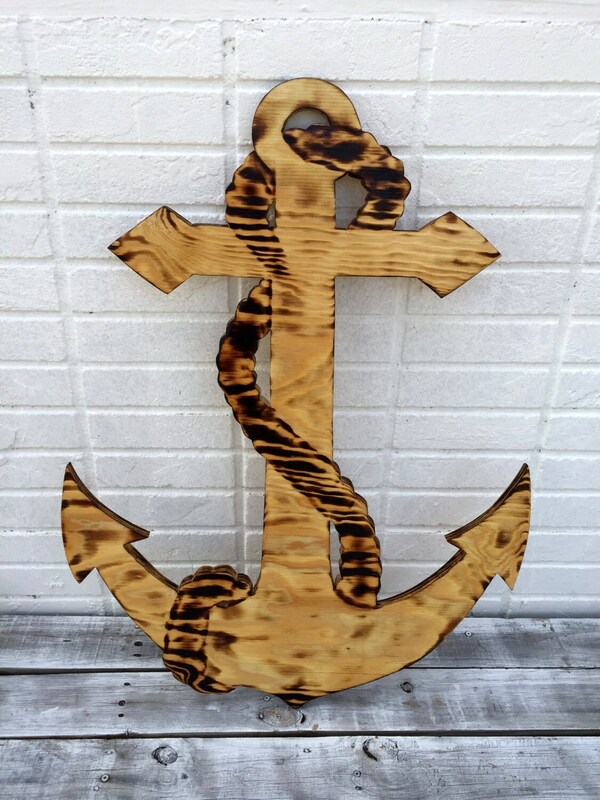 The sign hand cut from high quality wooden board, burned and finished special for you in Key West. 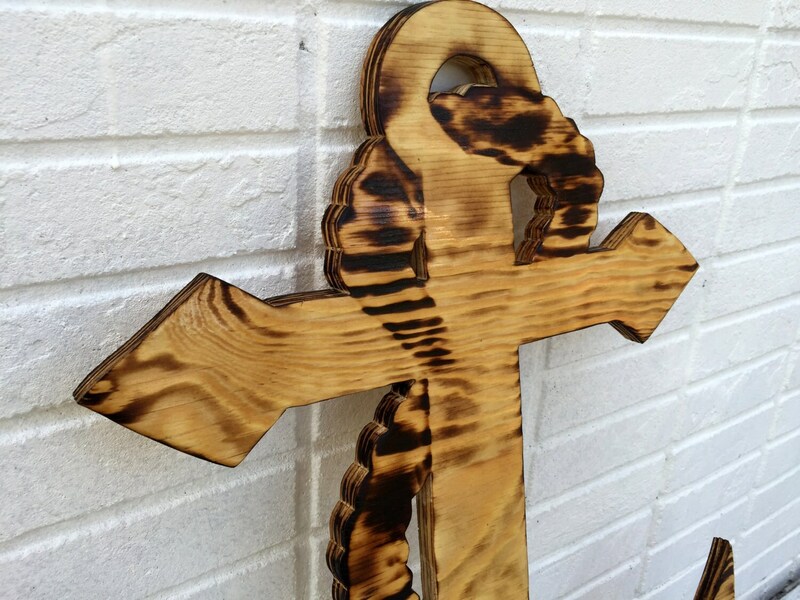 Choose any shades of wood finish from: http://www.minwax.com/wood-products/stains-color-guide/ to convey the style. Comes with two keyholes for fast wall hanging. Ready for house and porch displaying for years. This item is beautiful! 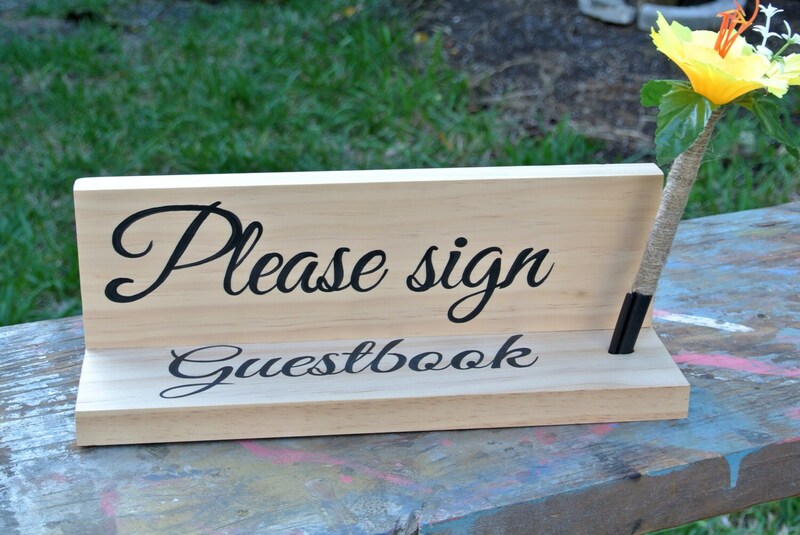 We can’t wait to display this for our guests to sign at our wedding!